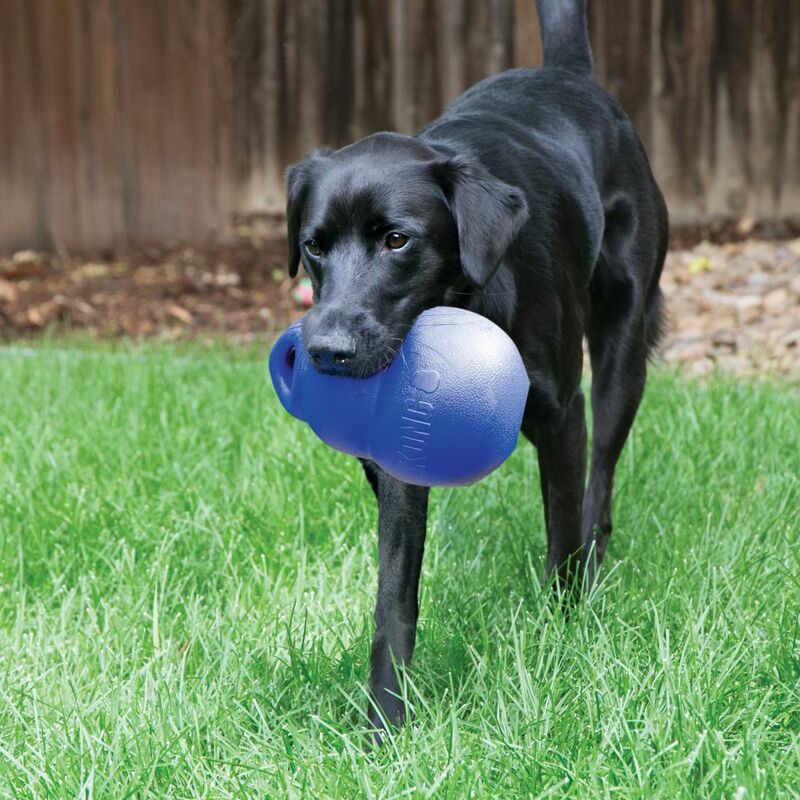 The KONG Ultra Bounzer is uniquely designed to meet the needs of dogs that neveret enough fetching fun. 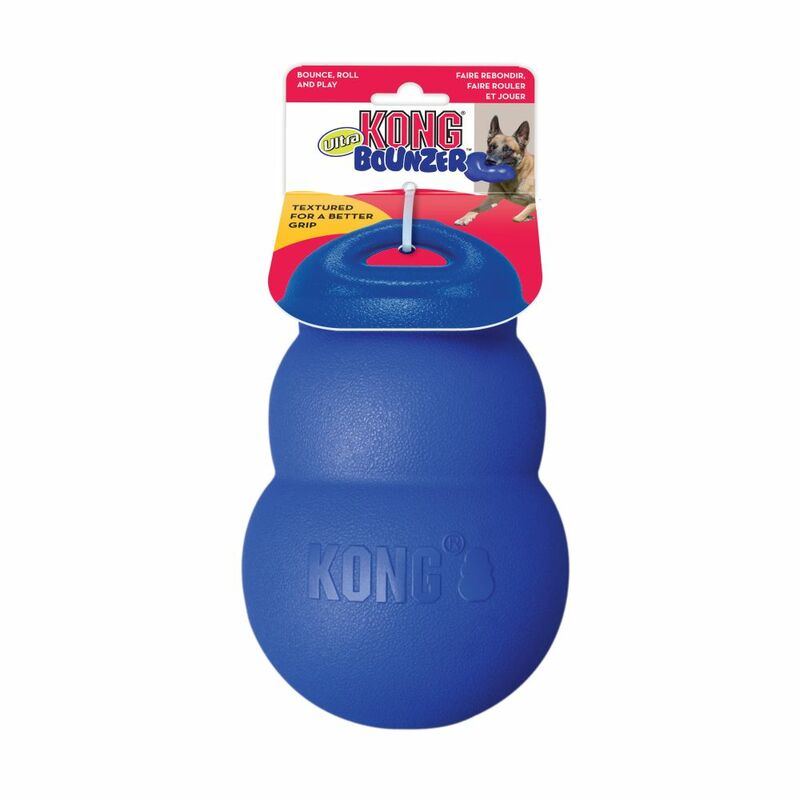 The Ultra Bounzer is made out of durable material making it last longer, while the classic KONG silhouette shape creates an unpredictable bounce. 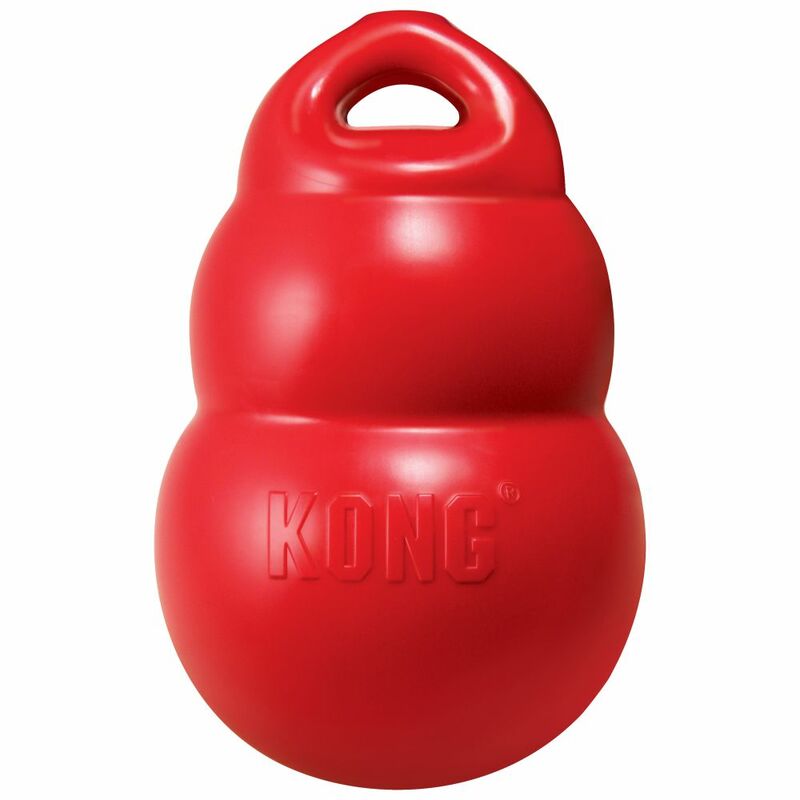 The KONG Ultra Bounzer compresses and rebounds to its original shape over and over again while a dog plays, making it an ideal toy for independent fun. 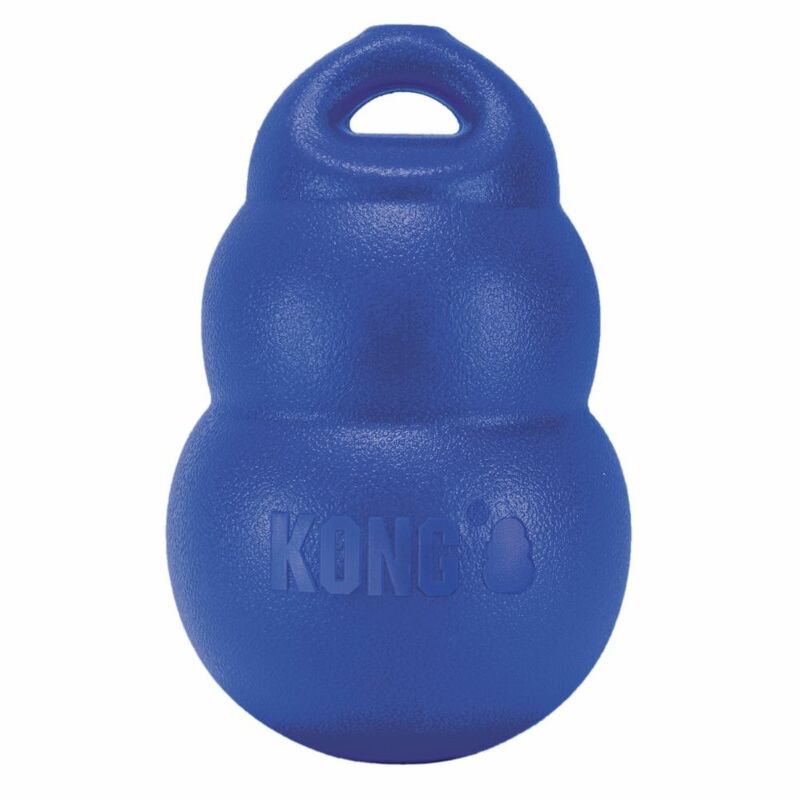 The top handle makes it easy for tug and toss interactive play as well.